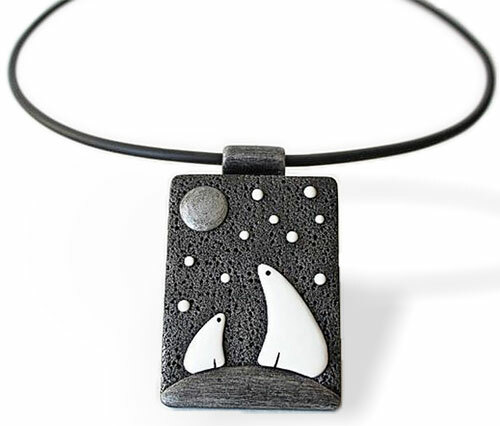 The simple and striking pendants by Siberia’s Yuliya Zharova (WildOnionArt) show knowledge of stark winter and spring scenes. It’s challenging to effectively show so much with a limited palette and in the small spaces that pendants and earrings allow. Yuliya was brought to your attention by Missouri’s Heidi McCullough who creates simple wildlife ornaments of her own. When an artist strikes a chord with you, it’s great to share them with PCD. Thanks, Heidi. 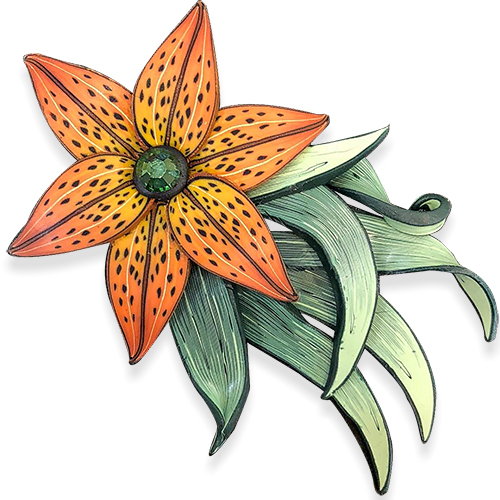 This 2.25″ x 3.25″ tiger lily pendant by Connecticut’s Lynne Ann Schwarzenberg picks up on 2019’s Living Coral, the color of the year according to Pantone. 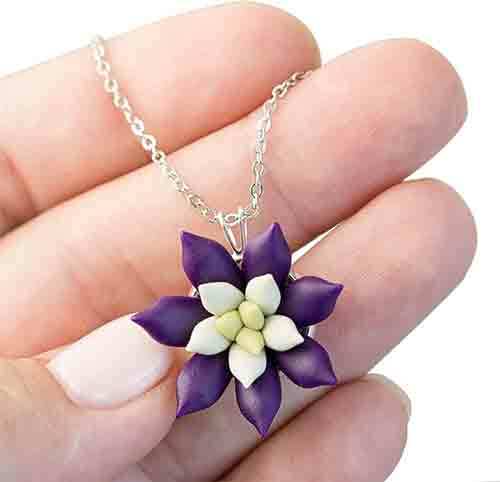 Lynne Ann shows it on Instagram and lists it on Etsy. She’s expert at leaf and floral canes and she’s on track for the new year. Ready to think about what 2019 has in store for us? Come on over to StudioMojo. This weekend we’ll be looking at the challenges and trends ahead. If your mojo needs a push to move up a notch, this is the place. 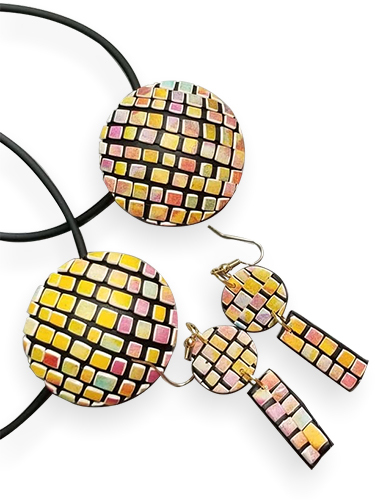 California’s Syndee Holt bypassed using scrap polymer for her mosaic jewelry based on Kim Korringa’s video. See them on Instagram. Syndee pulled out her pan pastels and created a colorful abstract for her top layer of polymer. This may sound confusing but it’s all explained in Kim’s video of her simple and quick way to play with a bit of clay. It makes a good warm-up exercise in case you’re in a post-holiday rut. 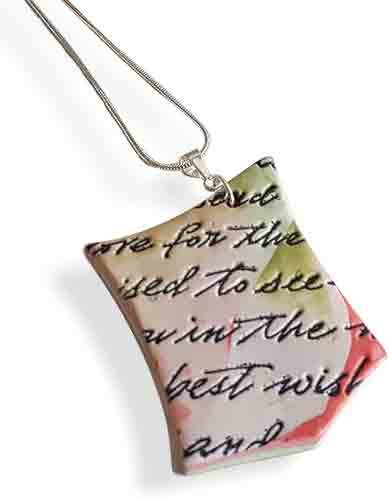 Manchester’s Alison Wren (White Larch Designs) stamps a cryptic bit of text into polymer and suspends the pendant at an off-kilter angle. She says Scandi style (Scandinavian) and nature influence her minimalist bent. Alison’s a newbie on Instagram and her first effort resonates. Minnesota’s Jennifer Patterson (QuiltedInClay) has been busy creating wares for her upcoming Duluth show. You’ll have to look more closely to get the full effect of the layers here. 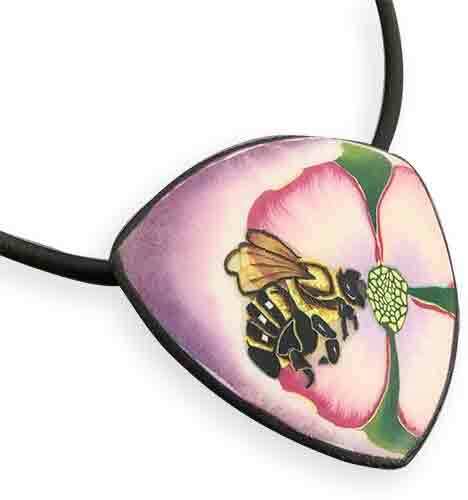 You’ll discover the translucent bee wings that show the petals below. Remarkable. Jennifer is famous for her extruded quilt patterns and disk sets. Here she veers off course for one-off pieces that are good for her heart and her mojo. Oh yes, speaking of mojo, join us for Saturday’s StudioMojo where we’ll be dealing with what turtles teach us about anxiety and traveling.